The indictment of Roger Stone, former adviser to Donald Trump, who was arrested by the FBI, has revealed more evidence that Trump’s campaign had no “back channel” with WikiLeaks, the whistleblower organization said. Stone was arrested early on Friday at his home during a massive FBI raid in Fort Lauderdale, Florida. While the arrest came as a part of US Special Counsel Robert Mueller’s probe into alleged collusion between Donald Trump and Russia, Stone stands accused of a bunch of process crimes. 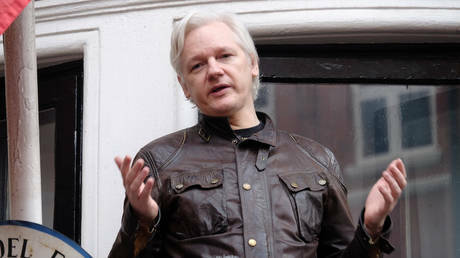 The indictment has shed more light on the lack of any link between WikiLeaks and Trump’s associates, the whistleblower website said in a tweet, dismissing the earlier claims as “braggadocio.” WikiLeaks, and Julian Assange himself, have repeatedly denied having any connection to Stone. During Trump’s elections campaign, Stone repeatedly boasted about having links to WikiLeaks co-founder Julian Assange, yet later backtracked on such statements. He claimed instead that it was actually a sort of “back channel,” facilitated by New York radio host and comedian Randy Credico (named “Person 2” in the indictment). Credico has firmly denied the claim. Credico’s denial over the existence of a “back channel” has apparently infuriated Stone. In an email, dated April 2018, the former Trump advisor called the comedian “a rat” and “a stoolie,” and even threatened to “take that dog away” from him. The vicious, profanity-laden email apparently refers to Credico’s dog, Bianca.